Greensfelder Officer Erwin (Erv) Switzer has been appointed to the Missouri Technology Corporation (MTC) Board of Directors for a term that ends Oct. 1, 2020. Missouri Gov. Jay Nixon announced the appointment on Jan. 6. The MTC is a public-private partnership that aims to promote entrepreneurship and foster the growth of new and emerging high-tech companies. Its mission is to provide leadership and make strategic investments that help entrepreneurs create and grow technology-based Missouri businesses. MTC focuses on bioscience industries that build on the state’s agricultural history. A member of the firm’s Litigation Practice Group, Switzer has extensive experience in commercial and government litigation, including extensive knowledge of areas of law covering consumer protection issues, governmental regulatory affairs and the appeals process. 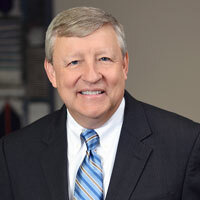 He also serves as the firm’s general counsel. Previously, Switzer served for 11 years as chief counsel in the Office of the Missouri Attorney General. His extensive civic involvement includes his recent service as chairman of the St. Louis Board of Election Commissioners, as well as previous roles on the St. Louis Board of Police Commissioners, the Governor’s Council on Disability and numerous other community and civic activities.